Miss Ukraine 2015 was recently crowned and the winner on the night was 18 year old Khrystyna Stoloka. She will represent the Ukraine at the Miss World Pageant on December 19 in Sanya, China. 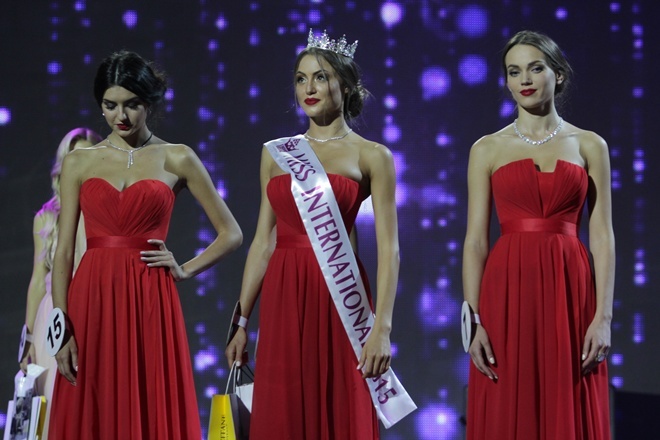 At the same event, Margarita Pasha was crowned Miss International Ukraine 2015. She will represent her country at Miss International 2015. The first runner-up of Miss Ukraine 2015 is Elina Rudenko and the second runner-up is Feride Ibrahimova.